My gosh, I love Sophia Coppola! 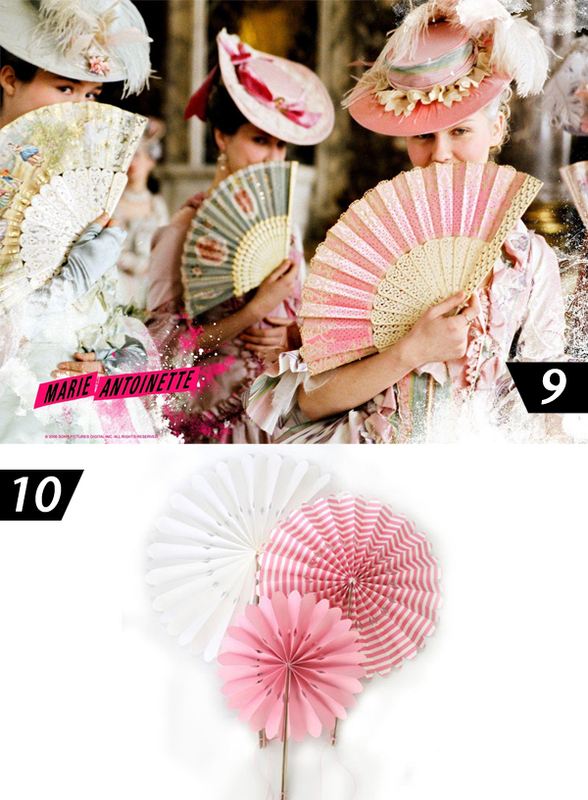 Her 2006 release of Marie Antoinette sparked my imagination so much yesterday that I had to re-watch the movie. The costumes and set designs are seriously full of Whim and Fancy inspiration! 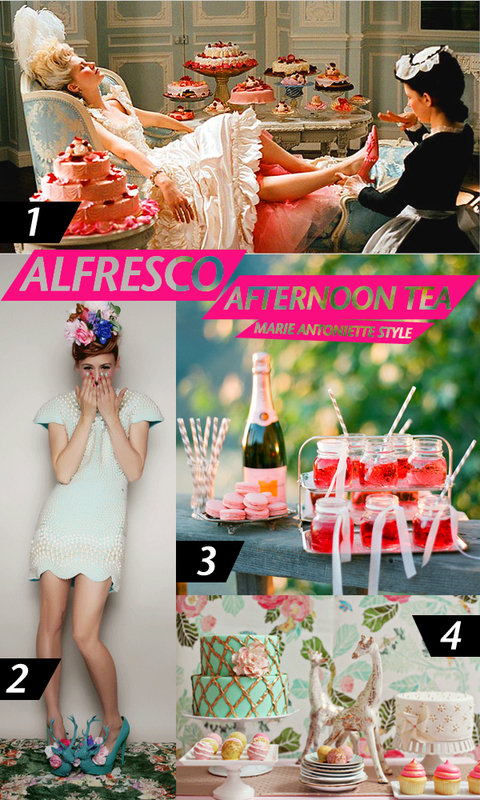 Wouldn't it be divine to have an Alfresco Tea Party inspired off of the movie? I thought so, too. Key elements would include: quirky outfits, pink champagne fountains, macaroons, vintage linens, and pink, gold and mint pretty much EVERYWHERE. Add in some colorful flowers and how about some flowering iced tea? DELIGHTFUL and BEAUTIFUL, don't you think? And you simply cannot forget pretty fans to serve both as a personal air conditioner and to discreetly hide your frivolous gossiping. Loving it! If you are too, call the Whim and Fancy crew and we'll put this soiree together just for you!